A beautiful, printed from an original embroidery, card made to celebrate a birthday. 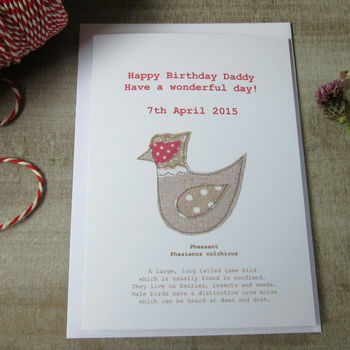 The embroidery is inspired by Caroline's love of game birds she sees flying about the countryside, this card is ideal to send to a special person. 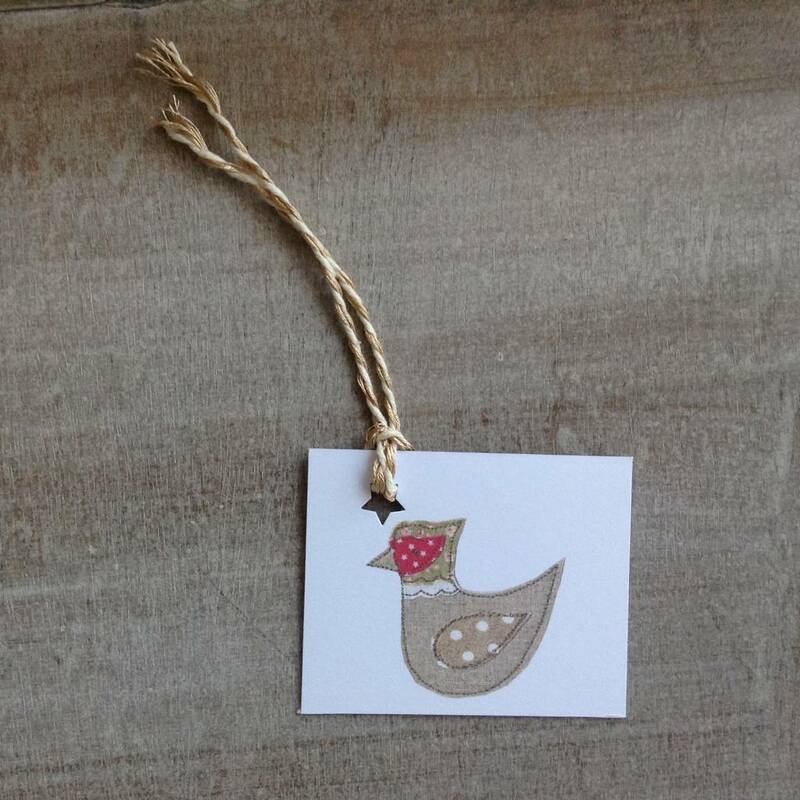 The card features a little stylised Pheasant with pretty details. "Pheasant, Phasianus colchicus. A large, long tailed game bird which is usually found in woodland. They live on berries, insects and seeds. 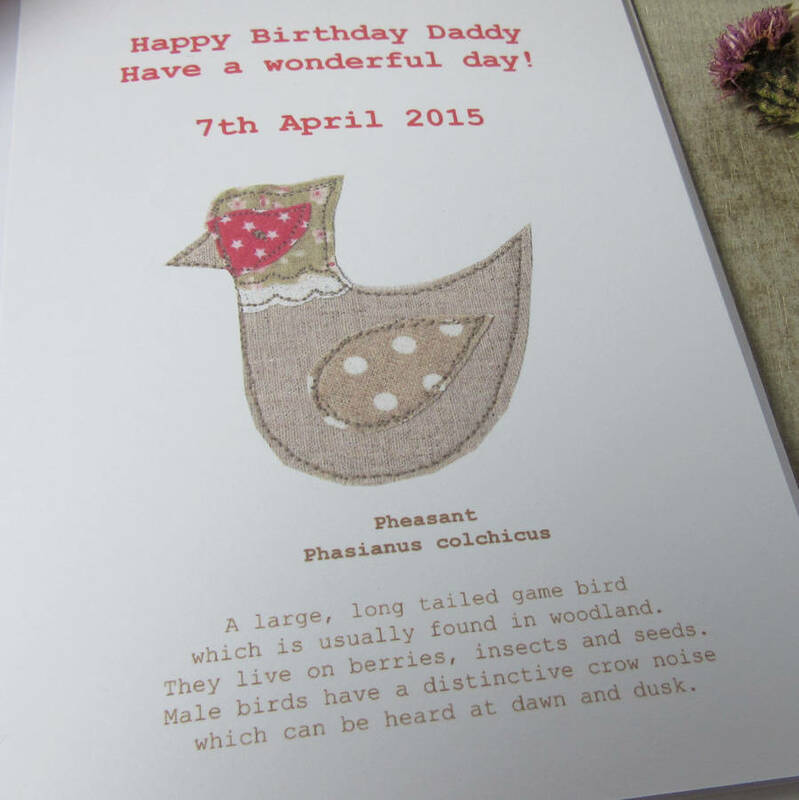 Male birds have a distinctive crow noise which can be hears at dawn and dusk"
The text is printed in cranberry and the text at the bottom of the card is printed in soft brown.